How far are you willing to go to support your team and get your professional sports fix? Do you plan your free time around your team's schedule, paint your face, wear your team's jersey, or drive crazy distances to see the game live? There are a lot of ways to support your team, but we've found the ultimate mega-fan travel experience. 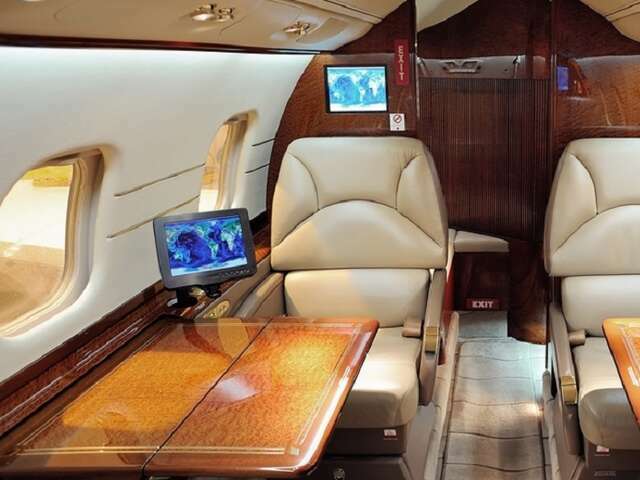 Chicago-based Big Game Air provides same-day round-trip travel on private jets to major sporting events across the USA. Its tarmac-to-stadium transfers and same-day returns mean no luggage, no hassle, no parking, no hotels, just a day rather than an extended long weekend of navigating crowds, and all the adrenaline of being at the game – plus all the perks of private aviation. Like many innovations, the idea arose to solve a problem: one of the company founders didn't want to miss a big game – but also didn't want to leave his wife and newborn overnight. With help from his co-founder, they put their aviation and hospitality backgrounds to work, roped in some buddies, booked a private jet, left in the morning for the game… and arrived home 12 hours later - with a new luxury sports travel business plan. Pardon the pun, but we think this is a 'game changer' for sports experiences and sports travel. If you can get yourself a game ticket, they can get you there in style. Fans can purchase individual seats on 8-30 seat flights scheduled to the highest-demand games throughout the year - up to 24 hours in advance of the game date. (So if you score a last-minute ticket, you can still make the game). There are no membership fees required (unlike some other private jet programs). Ground transportation is included to and from the sporting event. Ways to really celebrate a corporate team win, a bachelor party, or any other group event with add-on perks including custom jet hangar parties, tailgate parties in the sporting destination, professional athlete- or celebrity-hosted flights and premium onboard catering. In its first year, Big Game Air flights flies from Chicago, New York, Columbus, and Detroit; in 2018, the company adds Dallas and Atlanta as originating cities; and in 2019, you can depart from Los Angeles and San Francisco to join your team's big day. Flights are already scheduled to marquee sports events like the SuperBowl and major NFL games, College Football championships, NHL, the Masters Tournament, the Kentucky Derby, as well as major game dates on the calendar that run the gamut of team sport in the USA. The company subcontracts a fleet of private jets, making the ultimate game day trip more affordable than other private options. Flights still cost in the $1200 – 2200 USD range for a round trip, so it's not the cheapest way to get to the game. (But it still might be less expensive than your seats at center field). For time-pressed executives and groups of friends willing to splash out on their sports adventure, Big Game Air seems like a big win for big fans on game day.